Our office had a Holiday Party right before Christmas and I had a blast. Of course I had to wear a sweater but this time I was super excited because it wasn't ugly. I actually had seen another blogger feature this sweater in an Ugly Christmas Sweater post, and I just had to have it. I mean...helloooooo I AM the crazy Chihuahua lady, right? Oh and these boots... AH-mazing! I love over the knee boots now! 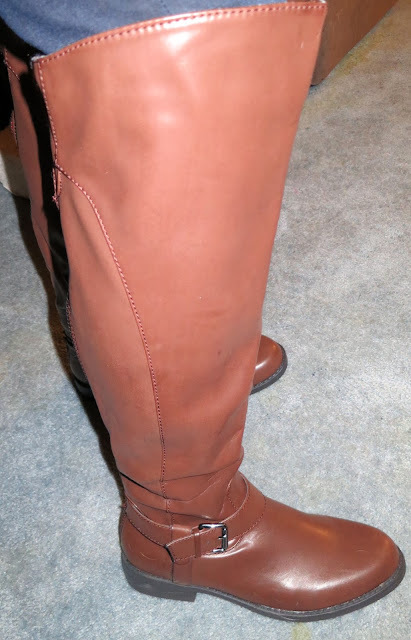 This is the Jayde in Cognac from JustFab! Boots - Jayde from JustFab (here); Sweater - Target; Jeans - J Brand Jeans (here).